Ritual is one of the the best ways to describe a skincare routine. If you want flawless, youthful skin, you have to have a ritual that works, day and night. There’s the proper way to wash your face, the right order to apply nutrient-rich products and the essential way to dry off. The latter is often overlooked because we’re in a hurry or haven’t unlearned years of bad behavior. But it might be one of the most important steps of all. If you wipe or rub your face dry after washing, then you’re making a big mistake. The skin on your face is delicate. Similar to using your ring finger to dab product onto the eye instead of rubbing it on, the same goes for the use of a towel on your face. That’s because when you wipe excess water away, you’re tugging at the skin. The likelihood for wrinkles and wear and tear increases, and you’re removing all of the moisture your skin needs prior to product application. A best practice to get used to is to pat your face dry with a clean towel. Using a clean towel is key. Using the same towel as you use on your body can spread bacteria and lead to more break outs. Two things no one wants. 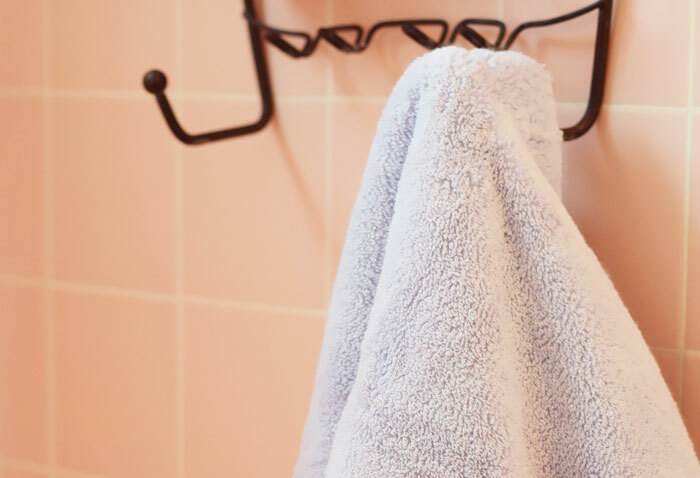 The ideal practice is to use a new towel daily (a hand towel works great), or a paper towel, to prevent anything that’s been floating around in the bathroom air or the dead skin you sloughed off the day before from getting on your newly cleaned face. You can take the drying process one step further and air dry. Giving your skin a few seconds of dry time before applying serums or creams means you don’t risk pulling or putting anything unnecessary on your face. When you’re skin is slightly damp, then apply your skin care favorites. If you practice air drying your hair, adding your face and even your body to the routine shouldn’t be an issue.